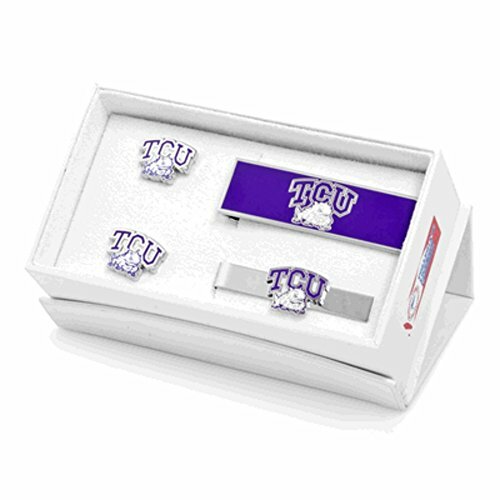 Show your love for the Texas Christian University Horned Frogs with this wonderful 3 piece gift set, featuring a pair of cufflinks, a money clip and a tie bar, all with the TCU logo on them. The money clip measures 2 1/2 inches long, 3/4 of an inch wide, the tie bar is 2 1/8 inches long, 1/2 of an inch wide, and the cufflinks measure 3/4 inches by 3/4 inches. Get yours today!